Sign-up using the form or call us at 516-626-9595 to make your appointment today! 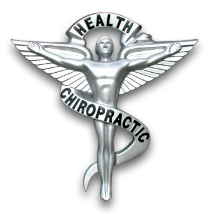 Dr. Ruth Tepper Cohen has been a practicing chiropractor for over 30 years. She is committed to guiding her patients to achieve an abundantly healthy lifestyle, while being fully present and physically able to experience the activities and life as they choose. Her family-based practice boasts individual and personalized attention for each patient. Dr. Cohen works with a broad age spectrum, from infants to the "golden oldies," and is a health and lifestyle strategist. She treats musculoskeletal conditions such as headaches, pinched nerves, back and leg pain, arm and neck pain, sciatica, joint pain, arthritis, and more. Her specialty is in rehabilitation. As an avid equestrian and sports enthusiast, Dr. Cohen has an understanding for athletes and sports-related injuries. Her focus with athletes is on individual performance enhancement. Dr. Cohen is certified in Neurostructural and Kinesiology taping, the same "muscle tape" seen on professional athletes and Olympians. With additional certifications as an Ergonomist & Posture Expert, Dr. Cohen is actively involved in expanding the awareness of the effect of the overuse of technology both physically and mentally. "Dr. Ruth" moved her practice from a large clinical setting to a more intimate home office in Greenvale, where there is a large selection of teas, hot chocolate, and soothing music, and where Scarlett the dog is always available for a pat or a hug. The office has a relaxing and comfortable atmosphere where patients can truly feel at home.